The ratings are in. 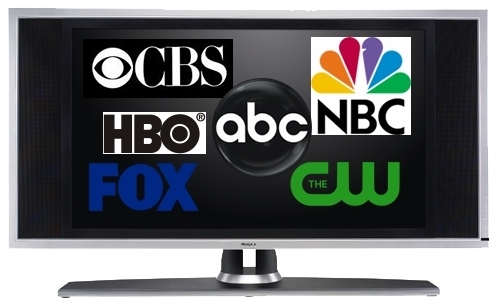 Fall’s TV premier week is over, what did you watch? Well that’s it folks, this week networks premiered the shows they hope will make it through at least one season, with the exception of Fox – who in my opinion likes to tease it’s viewers with good shows then take them away. Anyway that is another story for another post. CBS ran its first Two and a Half Men without Charlie Sheen, but WITH Ashton Kutcher. The show got even higher ratings than when Two and a Half Men premiered last year WITH Sheen, a whopping 28.7 million viewers. American Idol did very well with 20 and 24 million viewers on Thursday. CBS’s The Big Bang Theory premiered with its new night and time and drew in 13.5 million viewers. My personal favorites this week were The Office, with 8.2 million viewers, and Community, with 4.7 million. I have yet to watch Community but am worried these rating won’t be good for the show’s future, with creator Dan Harmon admitting this is the show’s make or break year. The Office was full of surprises and really managed to tell a lot in the first four minutes. I won’t spoil anything but it definitely was different without Michael Scott. However, given such a wonderful cast, I think the show will be fine without him and I can’t wait to see how this season pans out. What are your favorites and what new shows are you looking forward to?